Could Thor: Siege arrive in Phase 4? Is it time for a new Hawkeye? Who is the latest archer destined for the Avengers? They really shouldn’t leave the best stuff on the cutting room floor. It's going to be a while yet before we got those post-Endgame MCU plans. Could this be the next Avengers movie? Does the Mad Titan's new blade hold more Endgame clues? For every hero, there must be a villain - how well can you remember them? Phase 4 will kick off after Avengers: Endgame, but what MCU movies will it include? Don't Expect X-Men In The MCU For A "Very Long Time"
The Fox characters are home, but it's going to be a while before we see them on screen. 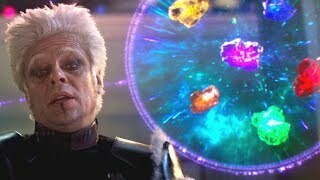 Who Made The Infinity Stones In MCU?